Financial Disclosure: If One Spouse is Dishonest, Must the Other Actively Investigate? In a case I reported on last week, called Virc v. Blair, the husband had deliberately and materially misrepresented the value of the corporations that he brought into the marriage, which eventually came to light upon the couples’ separation. If one party deliberately misleads the other, does it become the other’s obligation to actively investigate into that dishonesty? In Virc v. Blair, the parties had gone before a motion judge on a procedural matter relating to what turned out to be the husband’s incomplete and misleading financial disclosure. 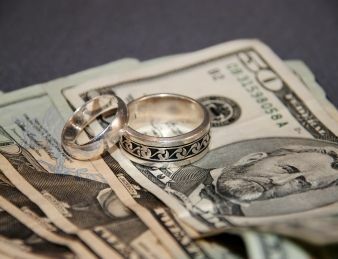 Once the motion judge had assumed that the husband had made certain material misrepresentations, the judge shifted the burden and placed it on the wife to inquire as to the truthfulness of the husband’s financial disclosure. In the face of a deliberate material misrepresentation, the onus is not appropriately placed on the recipient spouse. Rather, the burden is on the party disclosing to establish actual knowledge of the falsehood by the recipient. In other words, and contrary to what the husband claimed, there was no law to the effect that a spouse who receives financial disclosure in a matrimonial case is under an obligation investigate or test the veracity of the information provided by the other spouse. Rather, the effect of the deliberate material non-disclosure remains the focal point (unless the dishonest spouse can prove that the other spouse conclusively knew of the dishonesty).